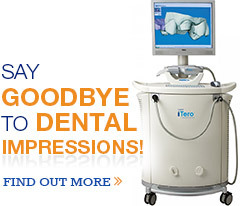 3D Digital Scanner – virtually eliminates the need for dental impressions or “moulds”! Colourful Braces – you can even change the colour of your braces at each appointment! As a St. Catharines native, Dr. Tony Pasquale is proud to live and work in the community both he and his wife grew up in. He treats all of his patients as they are members of his family and strives to make his practice a fun place to be! Parents are always welcome and encouraged to come into the treatment area to see how our treatment techniques make for a comfortable and enjoyable experience for everyone. Your time is valuable, and we respect that. We offer convenient before and after school appointments. We run “on-schedule” so that you can too! Parents love the fact that we encourage questions at all times. Getting braces is new to many families and we will take the time to explain everything upfront and along the way. We love talking about orthodontics and it shows! Our team is always available when you have questions or need assistance. Contact us to schedule your no cost consultation and get ready to start smiling! Pasquale Orthodontics: Also serving residents in Thorold, Niagara Falls, Fonthill, Niagara-On-The-Lake, Virgil, Jordan, Grimsby, Welland, Vineland, and Beamsville Ontario.